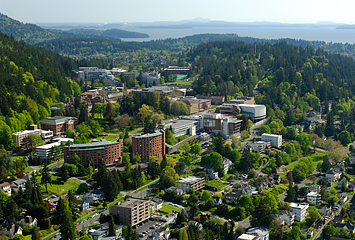 I am an Assistant Professor at Western Washington University (Fairhaven College). My current research interests focus on conditions in which racial microaggressions, or seemingly innocuous racial slights, become emotionally distressful for minority targets. Specifically, I'm investigating the types of perpetrator characteristics (e.g., race, perceived diversity experiences) that may increase the target's negative emotion intensity and reporting of racial prejudice. Other research and teaching interests include cultural psychology, emotion, identity, immigrant stress and mental health, and within-person patterns of variation. Trujillo, M. & Wang, J. (2012). Sticks and stones…: Emotional and behavioral consequences of seemingly innocuous racial treatment. Speakers: Jennifer Wang, Sara Douglass, Lori Hoggard, Matthew Trujillo. Symposium to be presented at the 13th Annual Meeting of the Society for Personality and Social Psychology (SPSP), San Diego, CA. Wang, J., Leu, J., & Shoda, Y. (2012, January). When the seemingly innocuous “stings”: Racial microaggressions and their emotional consequences. Symposium talk to be presented at the 13th Annual Meeting of the Society for Personality and Social Psychology (SPSP), San Diego, CA. Wang, J. (2011, August). What factors mitigate the negative effects of racial microaggressions? Talk at the 1st Annual Pacific Conference on Prejudice and Culture (PCPC), Bellingham, WA. Wang, J., Leu, J., & Shoda (2011, April). Why and when racial microaggressions hurt: The role of perceived prejudice and diversity experiences. Panel talk at the UCLA Asian American Pacific Islander Mental Health Conference, Los Angeles, CA. Wang, J., Leu, J., & Shoda, Y. (2011, July). When seemingly innocuous situations “sting”: Microaggressions against cultural identity in academic and community settings and their emotional consequences. Symposium talk (declined) at the International Association for Cross-Cultural Psychology (IACCP), Istanbul, Turkey. Wang, J., Leu, J., & Shoda, Y. (2011, March). Is it because of my race? Racial microaggressions and negative emotions. Symposium talk at the Society of Research in Child Development (SRCD), Montreal, Canada. Wang, J. & Cheryan, S. (2010, July). Vulnerability to Identity Denial: Immigration Status and the Desire to be Accepted as American. Symposium talk at the International Society of Political Psychology Conference (ISPP), San Francisco, CA. Wang, J. & Cheryan, S. (2010, June). Comparing Asian American Ethnic and Racial Identities. Symposium talk at the APA Divison 45 Ethnic Minority Conference, Ann Arbor, MI. Wang, J., Leu, & Shoda (2009, April). Do racial microaggressions really hurt? : The link between racial attributions and negative emotions among Asian Americans. Symposium talk at the Association for Asian American Studies Conference, Honolulu, HI.